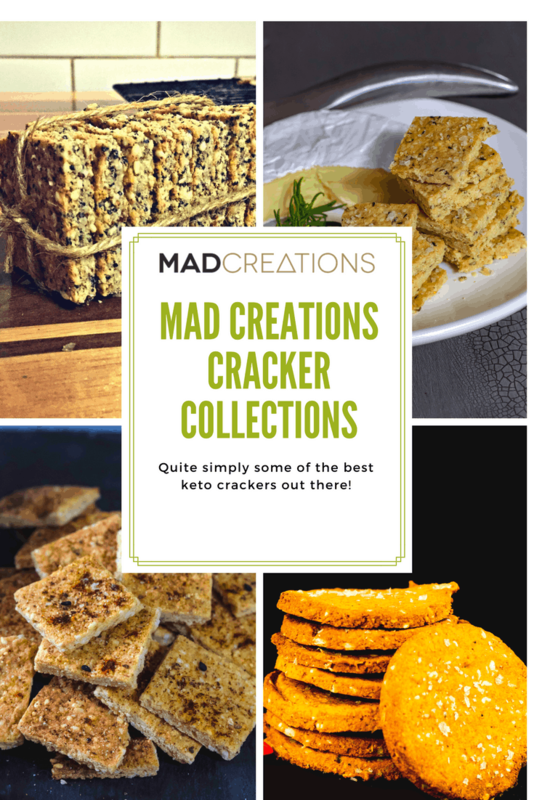 Mad Creations Crispy Keto Almond Seed Crackers are quite simply the very BEST keto cracker recipe on the internet. A big claim, but I think these crackers are the bomb. Easily one of my most popular recipes, and a great recipe base to flavour and change up to customise the cracker. The greatest thing about these crackers is they taste just like eating a normal cracker (with gluten and wheat) but without it. Not like other seed crackers that just taste weird. I think these taste a lot like Vita-wheat. Super tasty on their own, and so very crispy. Making another double batch today. It is funny that any time I am invited to any parties or get togethers these days all my friends ask that I bring a batch of these crackers and a new one. 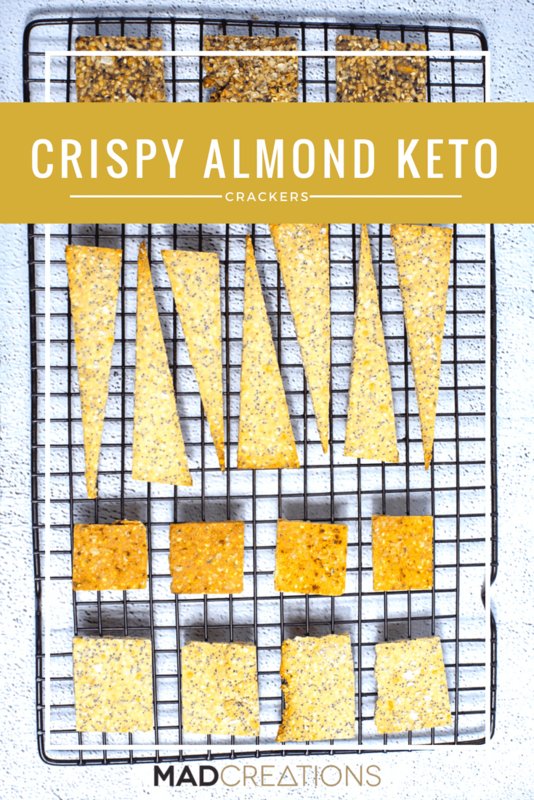 even the fussiest or most basic eating friends are enjoying these, so it is very easy for me to see why these are such a popular cracker with everyone who makes them. 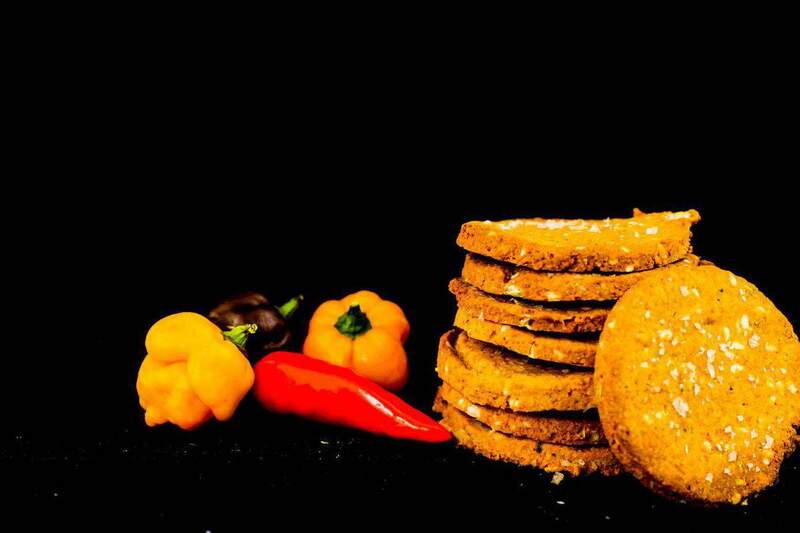 No doubt the very best seed crackers! Spread out thinly with the back of a wet spoon, or between baking paper with a rolling pin. Cracker mix should be 2 - 3mm thick. Cut into small squares, trimming off any browned edge pieces. These crackers are fabulous with butter and Vegemite or any of your favourite dips and cheese. They are a very crispy cracker. If your crackers are not crispy in towards the centre of the mix then cut out your outside crackers and pop the rest of the mix back in the oven for a couple of minutes until it is crispy. I make these every week…and keep a stash in my car. They’ve saved me many times from snack regrets! Fantastic! These are a staple in our house, couldn’t get by without them! I made these today and they are a game changer. Oh how I’ve missed crackers with butter and vegemite. Amazeballs!